Tuvok and Neelix have a long history together. From the first episode, Neelix rubs Tuvok the wrong way and it just goes downhill from there. In Tuvix, they become one dude and still have an antagonistic relationship when they split. In Rise, they're finally forced to work together but they certainly don't become BFF afterward. In the season six episode, Riddles, Tuvok is attacked by a mysterious alien species, suffers neurological damage, and we finally get a glimpse at a real Neelix/Tuvok friendship. Neelix takes charge of Tuvok's rehabilitation and they develop an interesting relationship. This damaged version of Tuvok likes to sculpt, listen to jazz, and cook. His favorite thing to make is dessert--soufflés, puddings, and sundaes. He's a Vulcan with a sweet tooth and a good attitude. 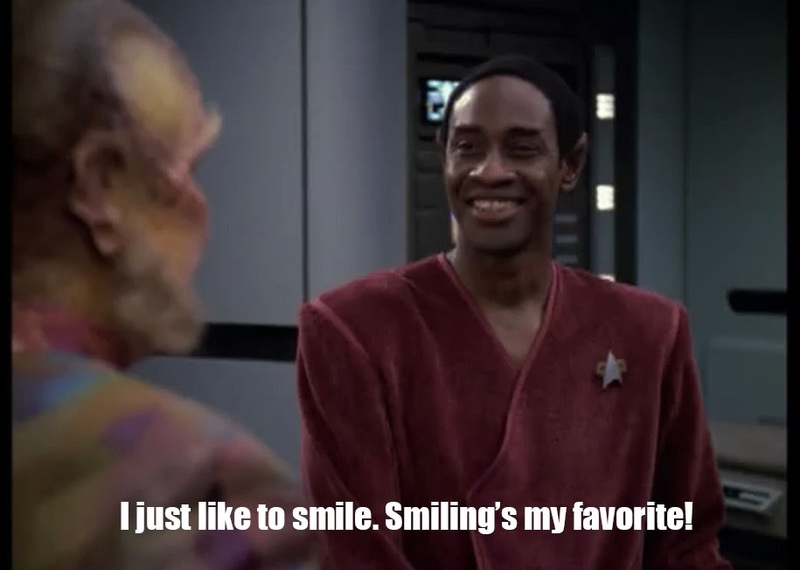 This version of Tuvok is way more fun. But the crew needs a tactical officer, not another Neelix so, of course, it can't last. It's easy to compare this episode to the much more infamous one--Tuvix. Riddles a Tuvok/Neelix-centric story and Tuvok has to undergo a procedure he doesn't want in order to return to the man he once was. But, it seems to me that this is a completely different animal. For one thing, we get our actors, our TV friends, in these scenes--not a guest star amalgamation of the two guys. 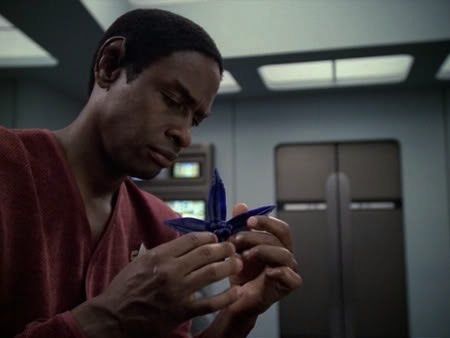 Tim Russ's gentle, subtle performance as a man who has lost himself is exceptional. Ethan Phillips is awesome as always but in this one he matches Russ' more understated tone. Additionally, Riddles was directed by Roxanne Dawson so it feels like a crew effort. Riddles is quiet and sweet. It's a change of pace from a lot of the other, darker Season 6 episodes. And, watching Tuvok pipe frosting onto a cake and talk about how much he likes smiling makes this one totally worth a viewing.